Send Feel Better Soon Balloon to cheer up someone poorly. imagine their surprise and joy as this bright Feel Better Soon Balloon floats out of its box. 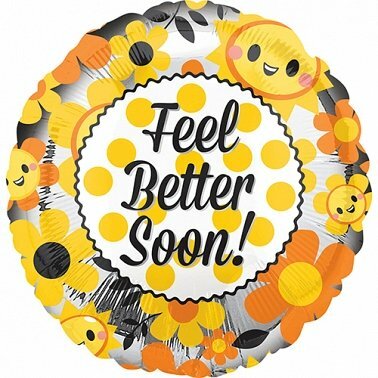 This balloon is the perfect get well gift. whether at home or in hospital its guaranteed to brighten up any patients bed side and set them on the road to recovery.